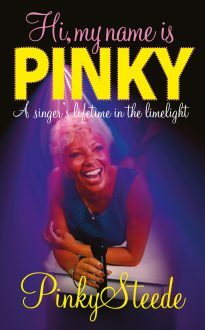 Bermuda-born Pinky Steede knew from her earliest days on her sunshine island home that she was going to be a singer – the only career she cared about. Hard work and one or two lucky breaks brought her the professional success she longed for, and she sang for audiences in theatres and luxury hotels across the Caribbean, Britain, Hong Kong and Portugal during a career which has lasted from her teens right into her seventies. She has shared a stage with some of the great names of showbiz, including Shirley Bassey, Elaine Page, Kenny Rogers, Sammy Davis Jr, Ella Fitzgerald, Sarah Vaughan, Bette Midler and Aretha Franklin. Now settled in Portugal, she has sung in most of the large casinos and hotels in the Algarve. In 2010 she was inducted into the Bermuda Music Hall of Fame. This is her story.